Wash and boil the mussels in a large, heavy bottom vessel. :- The shell will get opened automatically when it is boiled. This makes it easy to remove the flesh or kakka irachi from the shell. Remove the dirt which is there inside the top part of the kakka irachi. After that, wash it well by rubbing with salt. Wash it 3-4 times. Marinate the kakka meat with ginger-garlic paste, pepper powder, turmeric powder and salt and keep it aside for half an hour. Cook it well and allow it to cool. Mince it in a mixer and keep it aside. Add chopped onion, ginger, green chillies and curry leaves and saute well by adding salt. 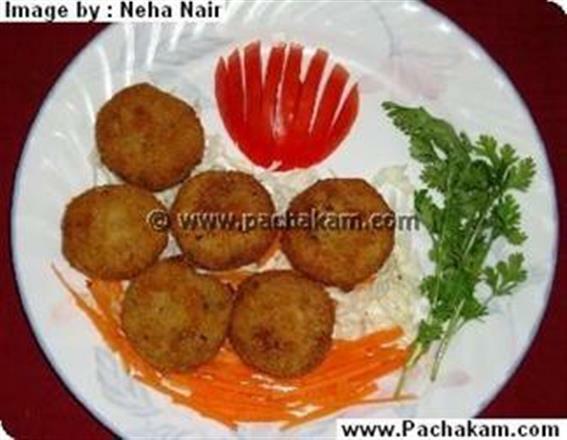 Add mashed potato, pepper powder and garam masala and mix it well with the onion mixture. 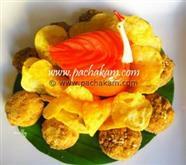 Add minced kakka irachi and mix well with the potato-onion mixture. Remove it from fire and allow it to cool. Beat well the eggs by adding little salt. 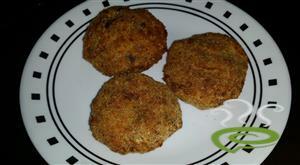 Make balls out of the cutlet mix and shape it into oval shaped cutlets. 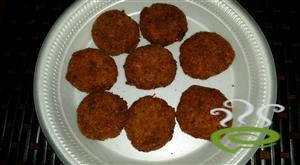 Dip the cutlets in beaten egg, coat it evenly with bread crumbs and fry it in oil.